This is a wonderful birthday cake! 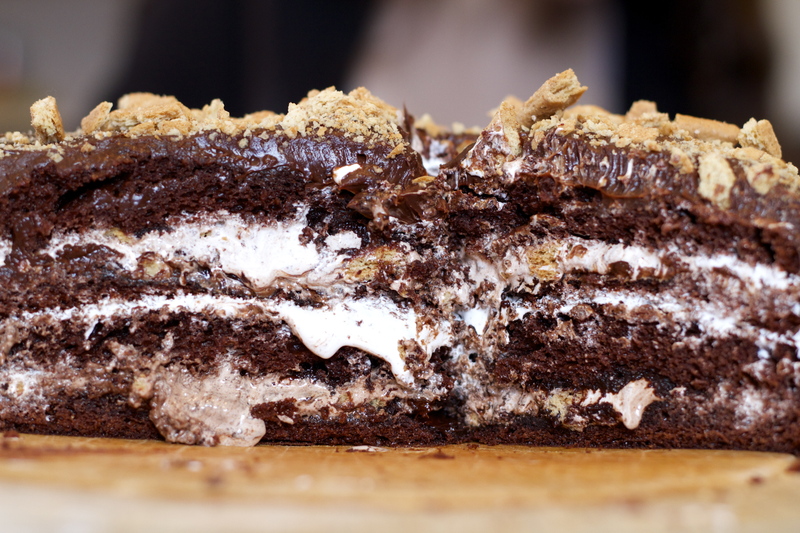 My son loves s’mores and I would never in my wildest dream think of a s’more cake. Happy Birthday to your lovely daughter Lidia! I know what you mean about tears of proudness. Thanks Seana. It was indeed a very yummy birthday cake! Ooey gooey is the perfect description Nancy! And Charlotte thanks you. A very happy birthday to Charlotte! I’m sure this cake was a hit just by looking at those layers of chocolatey, fluffy deliciousness. It definitely was a hit amongst the teens. And thank you for your birthday wishes to Charlotte. What a beautiful young lady Charlotte is, and very deserving of that cake I’m sure. Happy birthday to her, and I will have to give that cake a try! Oh, she is definitely a beautiful young lady! Thank you Sheryl. Happy birthday to Charlotte! The cake looks delicious!!! Quick thinking! If they only knew how we love them. Happy birthday Charlotte. Lovely to see you weeping for joy. They will do that to you. Lovely cake too. A very Happy Birthday to your beautiful daughter, and what a lovely cake. Happy birthday, Charlotte. I loved the warm, tender motherhood memories you shared. It makes the cake even more special. I’m glad to hear the birthday girl had her campfire cake away from the winds and with her family. 🙂 Beautiful dessert, Lidia. So nice to hear from you Shanna! It’s been a while. Thank you for your kind words. So delicious and so yummy Lydia 🙂 Happy Birthday to Charlotte ! How beautiful – Happy Birthday to your sweet Charlotte! 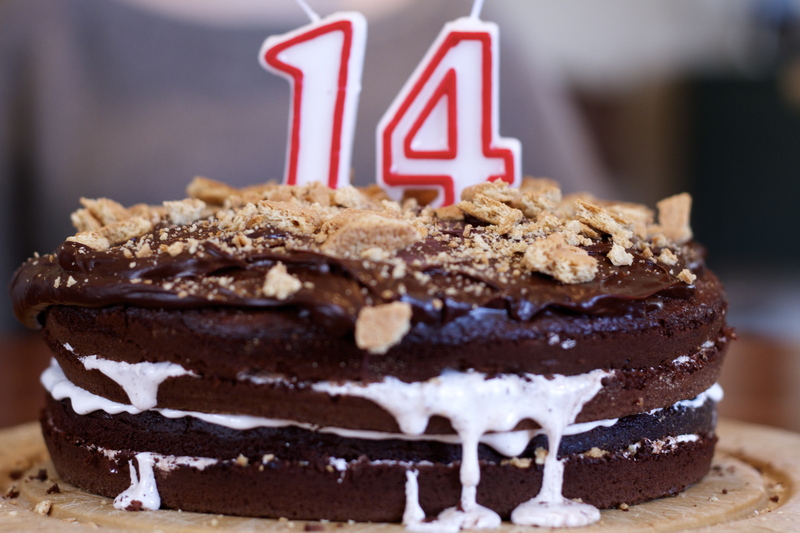 A lovely cake to celebrate being 14! Sweet Charlotte thanks you Margot! Happy belated birthday my dear Charlotte! Ur mom is quite the lady…always thinking of her girls! 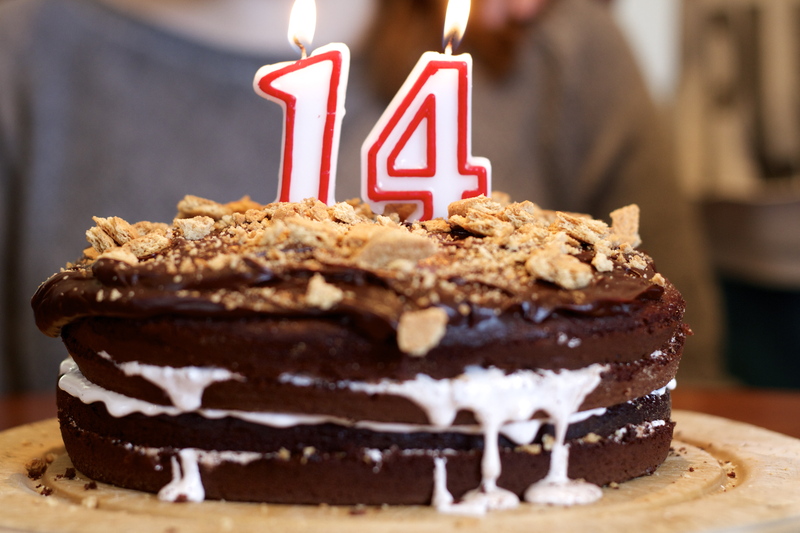 Hope u had an amazing 14th birthday! It’s too bad s’mores on the beach didn’t work out, but this is a great solution! Oh, but we’ll have plenty of occasions for campfire throughout the summer. You’re too funny Bam! Charlotte was indeed a very happy girl. Thanks Tandy for your kind words. Happy belated birthday to Charlotte! I hope you had great time, I’m already know that you had a great cake… it looks sooooo yummyyyyy! Thanks Margherita. Charlotte had a lovely day! 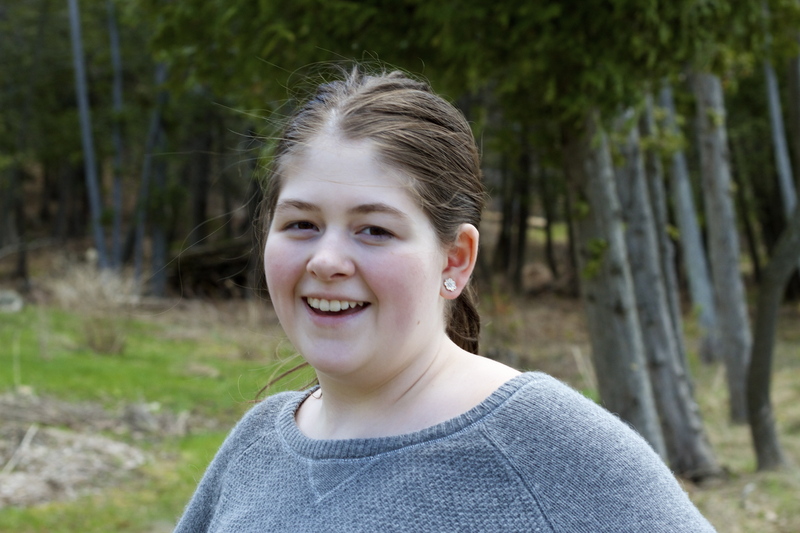 Happy birthday to your eldest daughter, mine turned 15 in January. 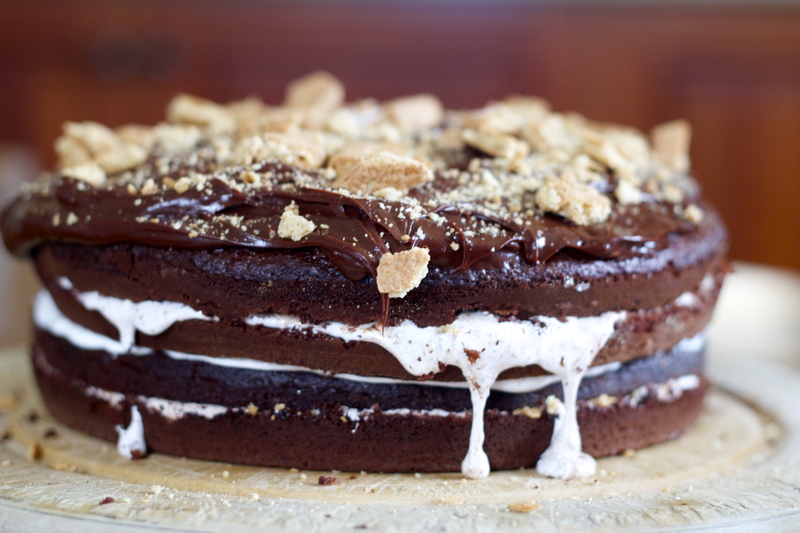 I have never made a s’Mores cake but this one looks absolutely delightful! 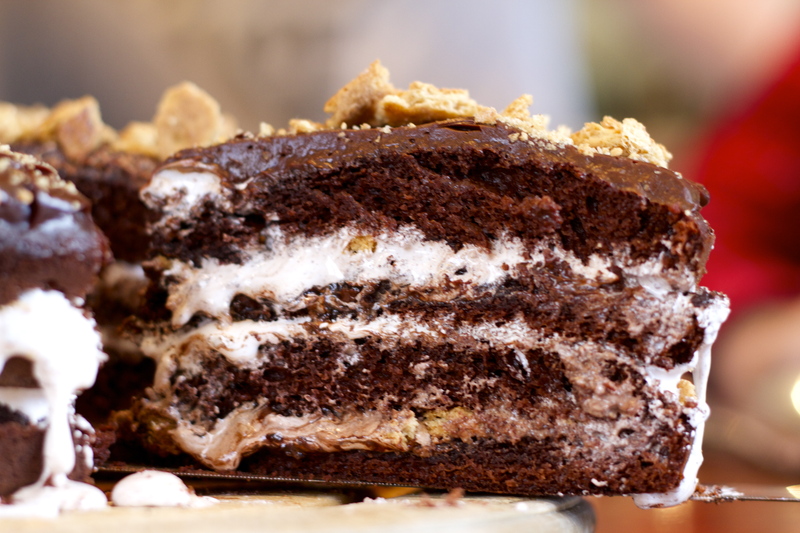 Every teen should have a S’Mores cake at least once! Holy cow! Now that’s what I call a birthday cake. Oh my, that cake looks stunning! A bit late but Happy Birthday to your wonderful daughter with a lovely smile. She does have a lovely smile, no? It’s so hard to get her to smile these days, I captured this while she was off-guard. big birthday wishes to your gal! This cake looks wonderful – all my fav things in one amazing dessert. I know, that marshmallow fluff is amazing oozing out of that cake. Happy belated bday to Charlotte! What a lovely cake! Can you believe I’ve never had s’mores?! Erika! It’s been so long… You have got to try s’mores at least once. I will pass your sweet wishes on to Charlotte. Very late… Happy Birthday Sweet Charlotte!!! Hello Darling Lidia, I hope all is well and you are enjoying life with the girls and hubby. Your second letter is not l (small L). ? Happy birthday to your daughter! Amazing and delicious cake! My daughter just loves it when wonderful people like you wish her a happy birthday!